Earlier today, we reported Greg Vaughan has been cast in OWN‘s new Queen Sugar TV series. Bianca Lawson and Henry G. Sanders have also joined the new drama. TV fans will recognize Lawson from series like Pretty Little Liars, The Vampire Diaries, and Buffy the Vampire Slayer. Selma‘s Sanders frequently works in film. The veteran actor’s most recent TV appearances have been in American Horror Story in 2012 and 2015, and Grey’s Anatomy in 2012. In Queen Sugar, Lawson plays Darla, ex-girlfriend of Ralph Angel (Kofi Siriboe). Days of Our Lives‘ Vaughan is Calvin, a cop and longtime married lover of Nova (Rutina Wesley). Sanders is recurring as Prosper Denton, a farmer and old friend of Ernest (guest star Glynn Turman). Los Angeles — Bianca Lawson (“Pretty Little Liars”), Greg Vaughan (“Days of Our Lives”), Henry G. Sanders (“Selma”) have joined the cast of the new original drama series “Queen Sugar,” from award-winning filmmaker Ava DuVernay (“Selma”) for OWN: Oprah Winfrey Network and produced by Warner Horizon Television. The series, which will begin production in Louisiana and Los Angeles this month, chronicles the lives and loves of the estranged Bordelon siblings – Nova (Rutina Wesley “True Blood”), Charley (Dawn-Lyen Gardner “Unforgettable”) and Ralph Angel (Kofi Siriboe “Awkward”) – who come together after a family tragedy to run an ailing sugarcane farm in the Deep South. Lawson portrays Darla, the ex-girlfriend of Ralph Angel (Kofi Siriboe) and mother of their son, 6-year-old Blue, who she has been prevented from seeing as she battles drug addiction. Vaughan portrays Calvin, a cop and longtime lover of Nova (Rutina Wesley), who shares a deep connection with her despite being married. Sanders, in a recurring role, portrays Prosper Denton, a farmer and old friend of Ernest (guest star Glynn Turman). The series is executive produced by Oprah Winfrey, Ava DuVernay and Melissa Carter. DuVernay developed “Queen Sugar” for television, wrote its pilot episode and will direct multiple episodes of the show’s first season. “Queen Sugar” chronicles the lives and loves of the estranged Bordelon siblings in Saint Josephine, Louisiana: Charley (Dawn-Lyen Gardner “Unforgettable”), the savvy wife and manager of an NBA star; Nova (Rutina Wesley “True Blood”), a world-wise journalist and activist; and Ralph Angel (Kofi Siriboe “Awkward”), a formerly incarcerated young father in search of redemption. After a family tragedy, the Bordelons must navigate the triumphs and struggles of their complicated lives in order to run an ailing sugarcane farm in the Deep South. “Queen Sugar” is produced for OWN by Warner Horizon Television. The executive producers are Oprah Winfrey, Ava DuVernay and Melissa Carter. 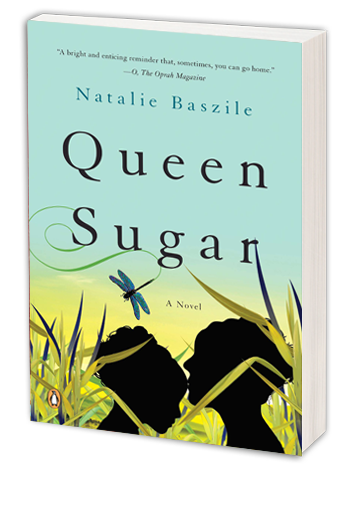 The series is based on the book by Natalie Baszile. How do you think the Queen Sugar TV show is shaping up, so far? Do you plan to watch this new drama, when it premieres on OWN? Tell us. More about: Queen Sugar, Queen Sugar: canceled or renewed? Yes, I have started watching Queen Sugar and enjoy the show very much.